Then in picture 2 a, the place where I put the tool there is a brilliant white light and the tool shows in the picture to stand vertical and not horizontal as it was at her feet in picture 1 a and b????? Metatron tool became all white light. After that the next picture 2b shows her heart with a brilliant white flame. Lastly in picture 3 you can see the whole body with white flame in the heart and while her left hand is holding a long lotus starting from the base chakra the middle finger has light on it .???? When I read her story, I started to cry. I cried nonstop and continued to do so for the next few days. Much has come up for cleaning. Much has come up for reevaluation in myself. And all of this started when I read her e-mail. The gateway that she has opened is the one that will begin to heal the wounds. When I read what she did, the first thought that popped into my mind was this “FINALLY! FINALLY!!!! !” And I cried, as if a mother who is welcoming her children home from the war. I cried and felt that my children have finally returned safely to their home. And the war is now over. I do not know why that is so. And I do understand that there is much more in store for us. And that there really isn’t a war as such, but the balancing of various energies. And yet, and yet I felt peace, and incredible relief. Relief that we have moved past the threshold that has been holding us back. From what I am being told, the Metatron’s discs that Natalya is creating, carry incredible energy within them, which are not only Metatron’s but her own as well. She doesn’t want to admit it to herself, but she is a very important deity, she is a Hathor, and has been here in the beginning of time. She doesn’t fully comprehend the power that she herself carries as is incredibly humble and extremely loving to all of humanity. Just as is Magda, In fact both were intertwined together in the same team when they came here to earth eons ago. The powers have connected into a triangular shape, forming the unstoppable force of the cosmic energies. Magda’s, Natalya’s and AA Metatrons. Essentially this disc is far more than we have realized before, as it is a KEY an activator, which doesn’t just cleanse and protect. It opens up the gateways, the portals into another world. Placed properly on the key lock, that is precisely what happens. And that is precisely what has happened at Sekmet. 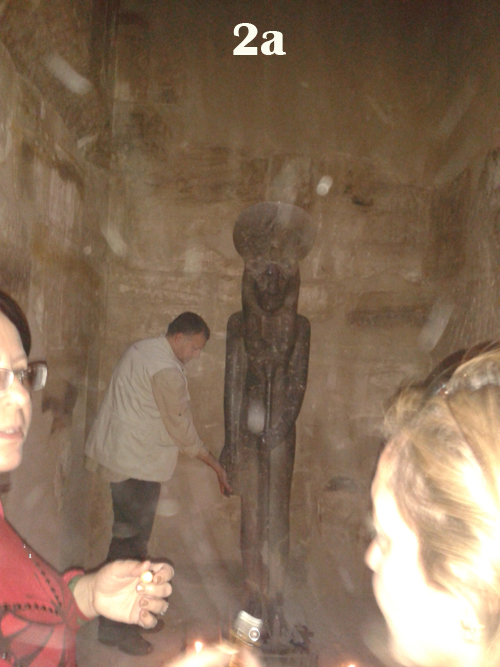 When Magda placed Matatron’s key on the bottom of her feet she has activated the statue, but more so than that, she has activated the energies of ALL those who have ever been in that place, who have ever touched her, who were ever led by her. The points on her body that became illuminated are the hand which holds the code of the sword and the HEART which holds the code of LOVE. There are the energies that were activated in all of the beings who have ever served for the sword. Sekhmet being a goddess of war and health, what transpired makes perfect sense. There are many upon many gateways through which energy passes into our known world, and she has opened the one that is going to heal the war. War, time and space. War which has prevailed on this earth. The war energies are going to start to be transformed into the energies of peace. Healing the wounds of time. Healing the wounds of all those who have suffered a terrible death of the body, their vehicles, all the wounds of the warriors that have come and gone from this planet. Their wounds, but most importantly the wounds of this planet. 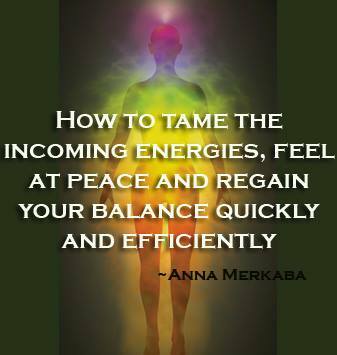 The energy is going to start to rapidly be transformed. And finally here is the channeling that I have received for her..
Dealry beloved one, for what you have managed to achieve in a split moment of time, is that which the intergalactic federation has been trying to achieve for eons. For the time has come, the time has come to unroll the plan of a new millennia , a plan of the new actions that are to be activated on this planet. The action of peace and harmony. And through the portal which you have helped to activate. The portal which you have indeed activated. You have invited beautiful melodious energies to enter GAIA . The transformation of the space a holly space, the space where it has all began. Has been transformed. And it’s only a matter of time, and a matter of continuing to open other such portals, before the harmonizing and balancing can indeed take place on GAIA. Please understand that there will be many such portals that shall become known to mankind. Please know that you are not the only one who is working on doing so. Please know that the disc that you hold in your hands is a sacred one indeed. For it carries the informational decree of the heavens prior, the heavens of .the future and heavens of NOW. The informational decree that is to help transition humanity into another state of being. Step by step. Taking giant leaps. And finally arriving at the destination of PEACE. Shine your light dearly beloved one, for you have from heaven to earth come. For you have indeed returned to spread the love and light to all who have been waiting for your return. Understand that we are standing by you,. Understand that we are leading the way, and understand that you , YOU Magda are indeed a powerful being. For the name that you carry is not a simple one. For the name that you carry shall remind you of your true self, of the role that you have indeed played eons prior. And as such, we salute you. We applaud you for doing all that you are. For carrying the light into the darkest spaces. For being a true light warrior at heart. For delivering that which has been promised to humanity , and finalizing the opening of the gateways, finalizing the arrival of new eons, finalizing the return of the GODS. And here’s what I have received from Magda. Words cannot express how I am feeling now . Reading your email was the best news I have ever received in my life. I am extremely honored to have being guided for this great great opening to humanity and to our beloved mother Gaia. I resonated with your words so much . Thank you Thank You Thank You. You have given me the confidence and the will to proceed in life as a lightworker. 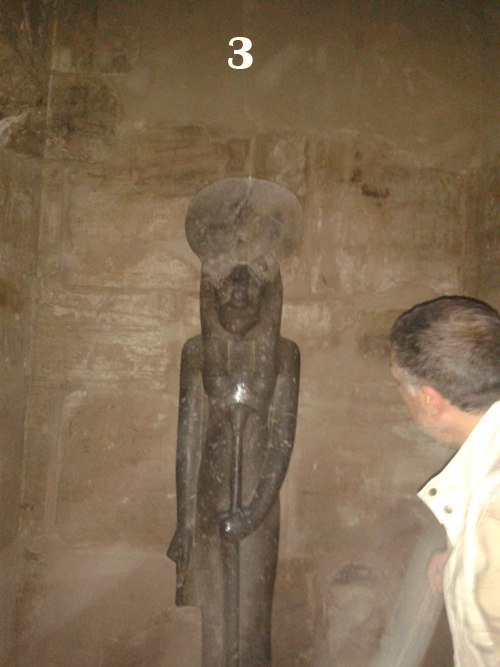 Twenty years ago when I started the lightwork in Egypt It was not easy to spread the light as the energy was very dense and many times I would give up and would tell myself why am I insisting on what I am doing ? But something inside me kept pushing to go on and lately ( 2 or 3 years ago)people started accepting what I give in my seminars and workshops and started to ask for more. Sometimes I would be tired and wish to stop but NOW after your message I am the happiest person on earth as I love my work which is spreading the light around me and helping Egyptians to awaken to their ancient identity which they have forgotten . I resonate with every word you said and your channeling which I found amazing and so much enlightening that I feel my heart jumping out of my chest. I cannot express my feelings and I am so grateful to you my Dear so indebted and so much appreciating all what you have given me starting from your advise about the phenomenal tool by AA Metatron. I am very honored to be in contact with you and with Dear Natalya whom I feel a strong bond which was clarified now after your email as I am very fond of the Hathors and did not know why. 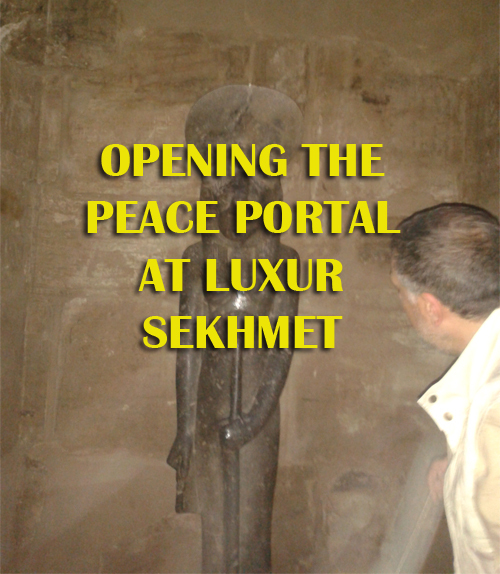 Please feel free to share everything about the Luxor experience with everybody as you like. It is my great pleasure to rejoice this very good news with the whole world . After all we are ALL ONE. 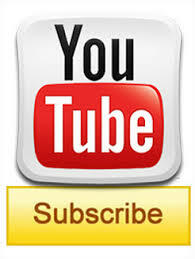 If you wish to get in touch with Magda her e-mail address is mserry2000 at yahoo. If you wish to get in touch with Natalya her e-mail address is NatalyaAnkh at yahoo. 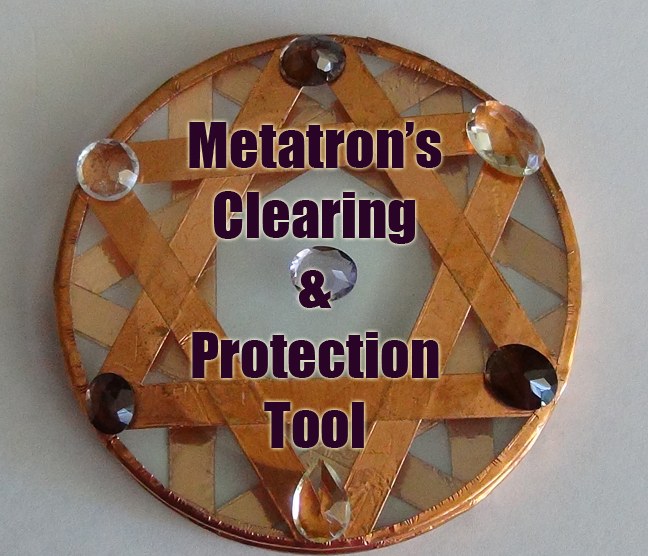 For further information about Metatron’s disc please click here. From a particularly close to Metatron person that I am, thank you, with all my heart. This was a real delight to read. Sarah. Thx Anna , Natalya and thx Magda my dearest prof. No wonder that you did such a great thing for human kind, didnt see someone so eager to spread light and to serve everyone, so enthusiastic to help people to elevate their spirits to reach peace. Oh! Wow!!! That is so hopeful for everybody and our Mother Earth!!! thank you for sharing this powerful experience. we feell it is connecte d with the purification of the KARMA of ROME- VATICAN focusing on the 8 obelisks in Popolo square..
time— tuesday 25 th March 1.10 p.m ITalian time. 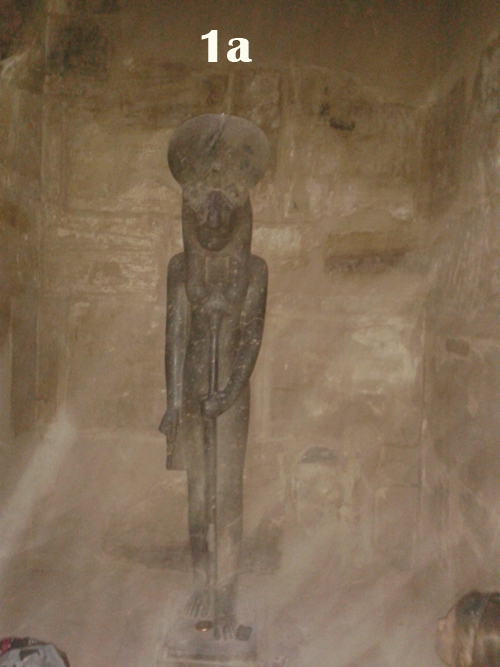 Thank you so much for bringing this amazing development to the worlds attention!The pics are incredible..I was wondering, could the light from the statue be seen with the naked eye? And when the disc lit up? thanks anna for this posting, this sounds good as i know we are in a very potent energy portal opening window that started around the equinox. however i also have the same question as julian had to magda and natalya if the lights at the heart and the finger could be seen with the eye, independent of the camera. After looking at the enlarged photos, it appears that both lights are reflections of light from the flash.